I recently dug an old favorite watch out of a drawer; it was given to my as a gift in 1998, but the person who gave it to me didn't know anything more than that she'd bought it at a public market in Poland. 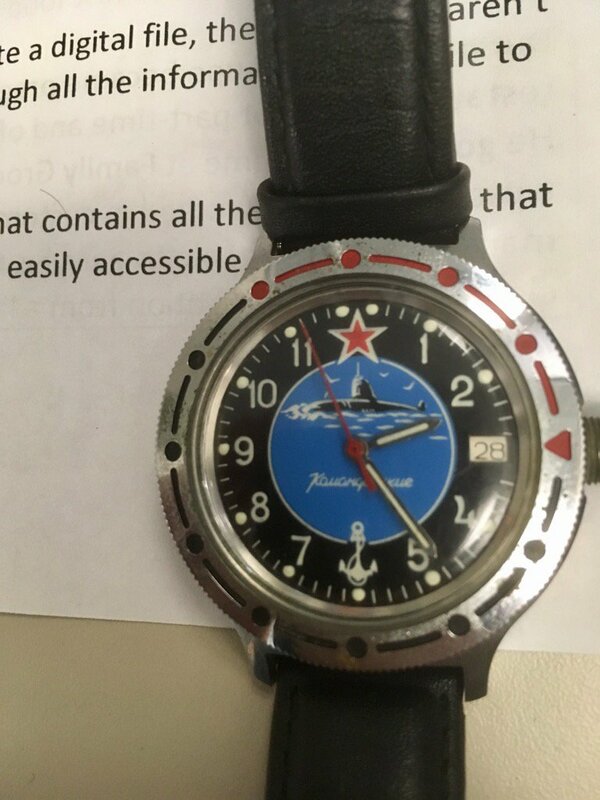 I think it's a Vostok Komandirskie, but have no clue if it's a knockoff (or put together out of spare parts or something), or what year it's from. I was pointed here as a place where people would know what's what with it. Here's a picture of the front, and here's the back. Thanks a ton for any info anybody might have! 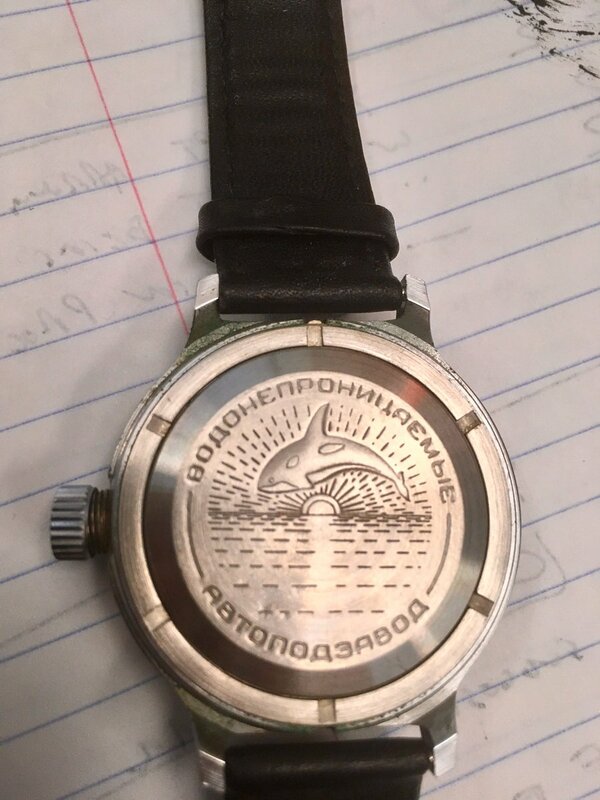 According to the book, "Russian Wristwatches", by Juri Levenberg it is indeed a Komandirskie (as marked on the dial) with a dial referring to the Atomic Submarine Division. It should have a Vostok cal. 2409 manual-wind movement. It's not my area of speciality but I see no indication that it isn't a genuine Vostok. They were plentiful. ...but really know nothing about it. I just checked it (it's not a big book) and couldn't find anything. The book is more of an overview, and whilst it includes a lot of watches and dial variations it doesn't have much info on any of them. I think you're likely to find more info online. 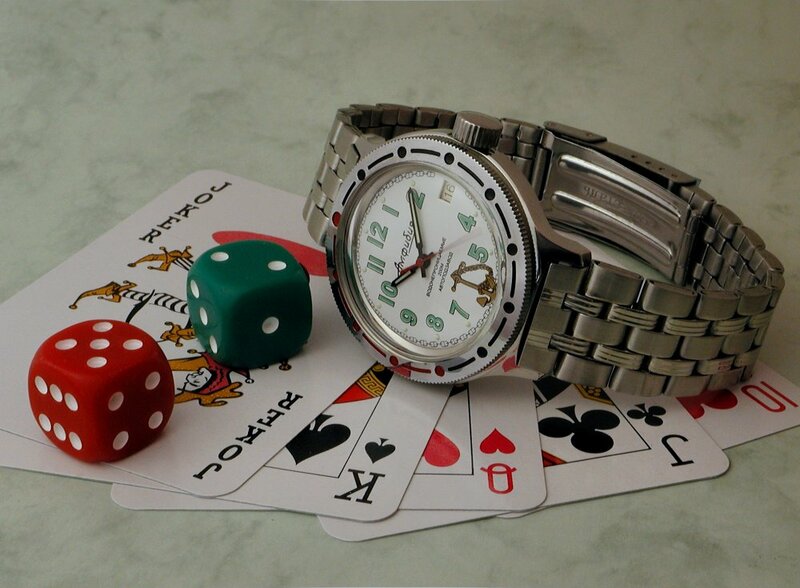 Since the Russian watches are inexpensive I do not expect anyone to be making fakes. The higher end fakes are getting very good and fool many. Always post photos especially movement on appropriate sites, especially brand collectors sites off TZ. 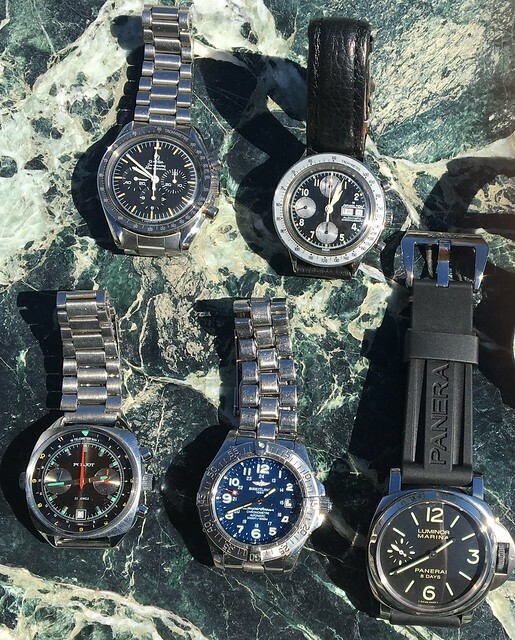 Here on bottom left is a Russian Poliot based on a Breitling 3133 movement. I bought it when they first started appearing in USA in early 90's at a NAWCC Mart. It has a telemeter scale to time lighting distance also known in early artillery lingo as a flash bang watch. It was used to locate enemy artillery by timing the seconds between the flash and the sound. ...although this is an automatic cal. 2416B Amphibia model.